Blowing the poll bugle in Karbi Anglong (Assam) for the Howraghat Town Committee elections as well as for 2019 general elections, the Chief Executive Member (CEM) of Karbi Anglong Autonomous Council (KAAC) Tuliram Ronghang said that the Bharatiya Janata Party (BJP) will retain power once again at the Centre next year. Ronghang said that he was “overwhelmed” looking at the huge turnout of women in the Howraghat meeting (read walking more than 10 km by foot) which “clearly goes to prove that the BJP will come back to power in the next elections – be it town committee or general elections. The Opposition Congress and the regional Autonomous State Demand Committee (ASDC) is far behind us”. He asked the women Self-Help Groups (SHGs) to take up piggery and poultry farming through Government-supported schemes. MLA Joyram Engleng highlighted various developmental schemes taken up by the present BJP-led Government in Assam as well as in Karbi Anglong. He said Howraghat town will soon get streetlights and the same will be installed under the award of Fifth Finance Commission. Engleng further informed that the stretch of road between Howraghat to Pan Engti Village and from Ampukhuri to Uttor Borbil and the 5 km stretch of road from Ok Kereng Road will be blacktopped. He also mentioned about several other developmental schemes of the BJP Government. 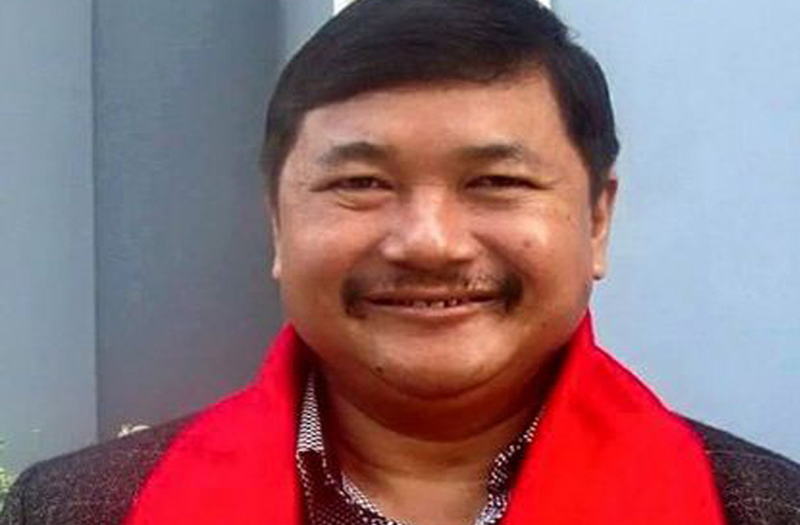 Earlier, in his introductory speech, Howraghat Member of Autonomous Council (MAC) and Executive Member (EM), KAAC, Khonsing Rongpi, informed that the town committee elections in Karbi Anglong will soon be held and hoped that the BJP will taste victory in the Howraghat Town Committee elections. He heaped lavish praise on CEM Tuliram Ronghang and said under his leadership “development was perceptible”. The CEM laid the foundation stone for construction of a mini stadium with auditorium, open stage and gallery at an expense of Rs 10 crore at Howraghat under Assam Finance Minister Special Package and also laid the foundation stone for construction of Pradhan Mantri Awas Yojana (PMAY – Urban) in the residence of Tilotama Panika in Ward No III of Howraghat town.